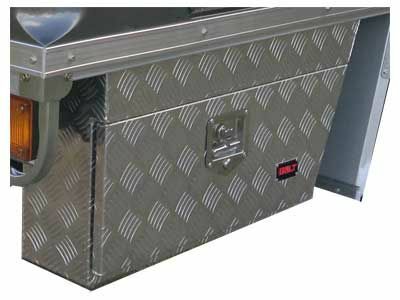 The BOLT Wheel Arch Tool Box - 750mm is a well built robust design with fully welded seams and is made from quality 2.0mm polished alloy checker plate that is dust and water resistant with a rubber weather seal. They have stainless steel piano hinge and BOLT Lock T Handle Lock which works with YOUR vehicle ignition key, to secure teh door and a chain supports the door when it is opened. 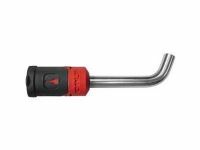 BOLT Lock T Handle Lock which works with YOUR vehicle ignition key. Toyota 70 Series Landcruiser Double Cab from 2011 and onwards. If you choose BOLT Lock Australia to do the installation, we will organise one of our authorised installers to do the install for you, or if BOLT Lock doesn't have a local installer, we will find one to do the work for you.